Mr. PAUL. Mr. Speaker, I rise to introduce the Agriculture Education Freedom Act. This bill addresses a great injustice being perpetrated by the Federal Government on those youngsters who participate in programs such as 4–H or the Future Farmers of America. Under current tax law, children are forced to pay federal income tax when they sell livestock they have raised as part of an agricultural education program. Think of this for a moment, these kids are trying to better themselves, earn some money, save some money and what does Congress do? We pick on these kids by taxing them. It is truly amazing that with all the hand-wringing in this Congress over the alleged need to further restrict liberty and grow the size of government for the children we would continue to tax young people who are trying to lead responsible lives and prepare for the future. Even if the serious social problems todays youth face could be solved by new federal bureaucracies and programs, it is still unfair to pick on those kids who are trying to do the right thing. These children are not even old enough to vote, yet we are forcing them to pay taxes! What ever happened to no taxation without representation? No wonder young people are so cynical about government! It is time we stopped taxing youngsters who are trying to earn money to go to college by selling livestock they have raised through their participation in programs such as 4–H or Future Farmers of America. Therefore I call on my colleagues to join me in supporting the Agriculture Education Freedom Act. 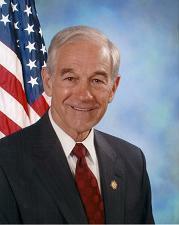 2000 Ron Paul 10:2 handwringing or hand-wringing? The word is hyphenated at the end of a line of text in the Congressional Record, but is hyphenated mid-line on Ron Pauls Congressional website.